To Steve Jobs, Simplicity was a religion. It was also a weapon. Simplicity isn’t just a design principle at Apple - it’s a value that permeates every level of the organization. The obsession with Simplicity is what separates Apple from other technology companies. It’s what helped Apple recover from near death in 1997 to become the most valuable company on Earth in 2011. Thanks to Steve Jobs’ uncompromising ways, you can see Simplicity in everything Apple does: the way it’s structured, the way it innovates, and the way it speaks to its customers. It’s by crushing the forces of Complexity that the company remains on its stellar trajectory. As ad agency creative director, Ken Segall played a key role in Apple’s resurrection, helping to create such critical marketing campaigns as Think Different. By naming the iMac, he also laid the foundation for naming waves of i-products to come. Segall has a unique perspective, given his years of experience creating campaigns for other iconic tech companies, including IBM, Intel, and Dell. 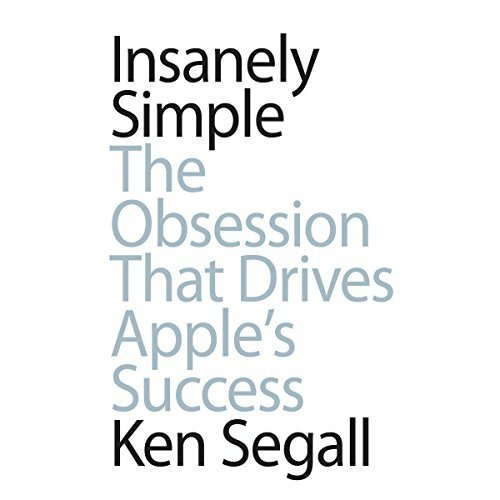 It was the stark contrast of Apple’s ways that made Segall appreciate the power of Simplicity - and inspired him to help others benefit from it. 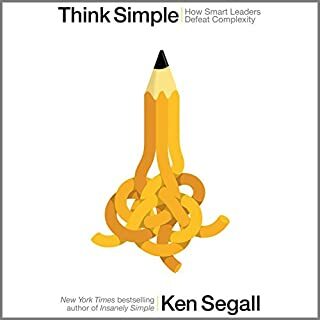 Would you try another book from Ken Segall and/or Ken Segall? The intro and Chapter 1 was enough, we get it. Now get on with the actual "meat" of the book. Insight into the Steve Job's mentality and the war stories of those who worked/lived with his "genius." 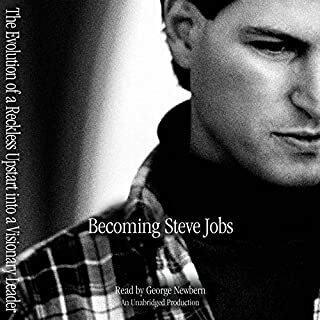 The least interesting was the amount of time the author spent repeating how long and intimately he worked with Steve Jobs. What made the experience of listening to Insanely Simple the most enjoyable? What was one of the most memorable moments of Insanely Simple? 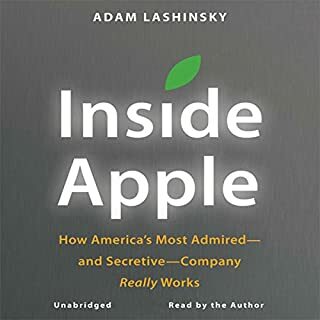 Too many to list - excellent book whether you're an Apple fan or not. Full of great examples and reflections about marketing, product and how to to focus on what matters when you’re building something. If you expect a lot of buzz words and a superficial playbook of successful people, this book it’s not for you. 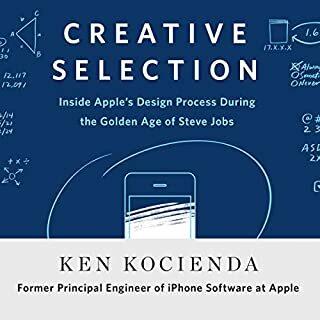 This book reflects upon one of the greatest brands in history, Apple, and the creator of that brand, Steve Jobs. But personally I found it boring and finally bailed about half way through. It just didnt tell enough about the personalities behind the story...it was more factual about the work itself. I work in advertising so one would think I would find it interesting but all he did was express the creative process. In the true spirit of the book I can only say this...."Simply brilliant!". I've been implementing many of the ideas for a while in my businesses but now realize I need to take 'simplicity' even further. An obsession with Apple that blurs any story! Not the best use of time, sounds like someone is cashing in on Steve Jobs success while slating every other tech company. Could you see Insanely Simple being made into a movie or a TV series? Who would the stars be? 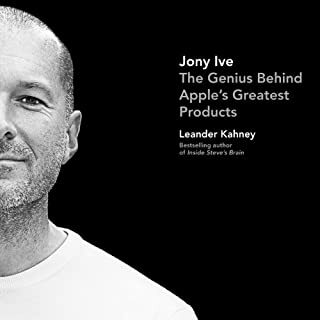 This guy is an apparent Apple fan boy which makes the book very one sided, it's hard to gain any insights while someone is so in love with the subject matter. Any real business insight is blurred. I'm not much of an Apple fan but i can respect what it has done and how it did. 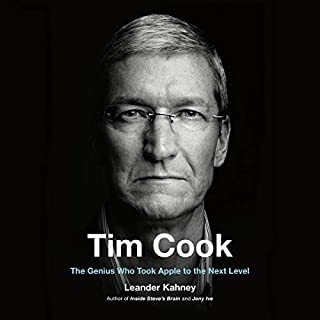 I would go read/listen to Steve Jobs Autobiography which is a million times better than this book and you will learn something reading that.